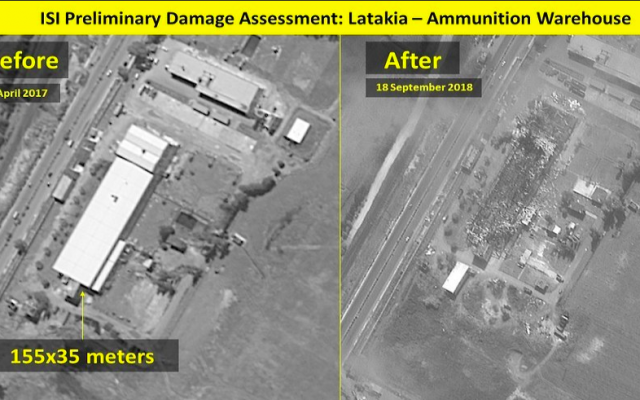 A munitions warehouse in a Syrian military facility appears to have been completely obliterated in an Israeli airstrike in the Syrian port city of Latakia late on Monday, satellite images released Wednesday show. A Russian military reconnaissance plane was shot down by Syria during the Israeli strike, killing all 15 crew members. 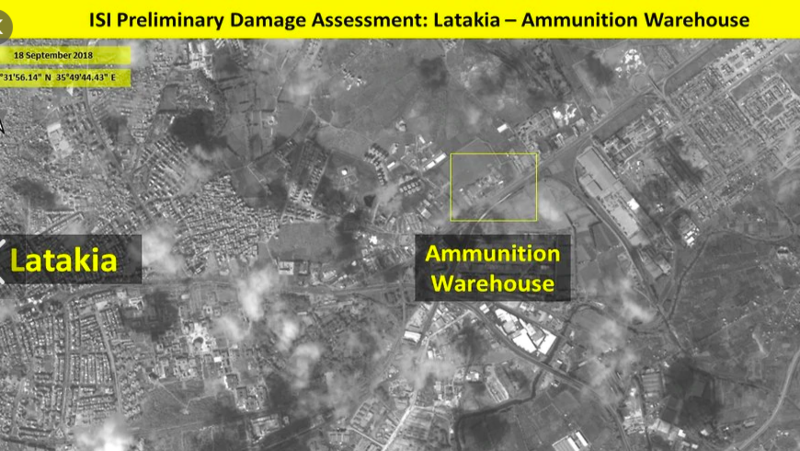 On Wednesday Syria released video footage from the site of the attack, reiterating its claim that Israel targeted an aluminium factory, not a weapons warehouse in Monday’s strike, according to the Ynet news site. The veracity of the footage could not be independently verified. On Monday, Syria accidentally shot down the Russian reconnaissance plane when its air defenses swung into action against the Israeli strike on Latakia. The Russian defense ministry initially blamed Israel, saying the IAF jets used the Russian plane as cover. On Wednesday, the Russians approved Prime Minister Netanyahu’s proposal to fly air force commander Major General Amiram Norkin to Moscow to present the findings of Israel’s investigation into the incident. 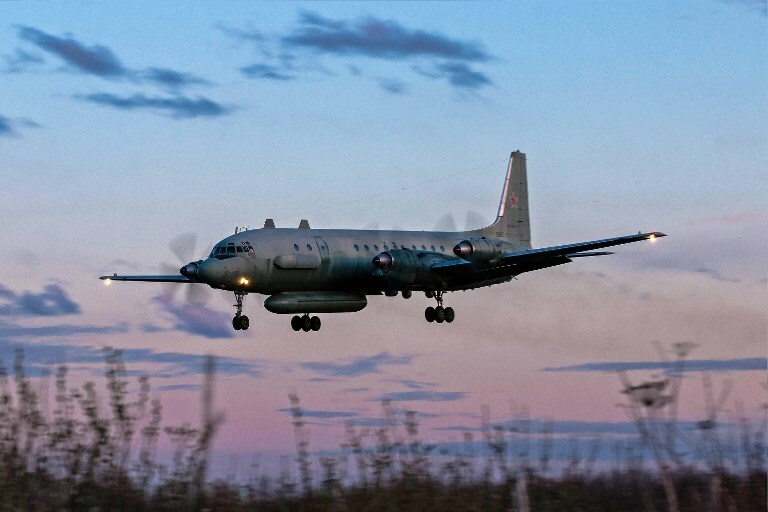 Syrian media and opposition sources reported Wednesday that several Syrian soldiers who were involved in the downing of the Russian spy plane were arrested and interrogated. The fighters from the air force base in Latakia were reportedly arrested by members of the Russian military police. A Syrian unit was also reported to have taken part in the arrest, according to Hadashot TV. 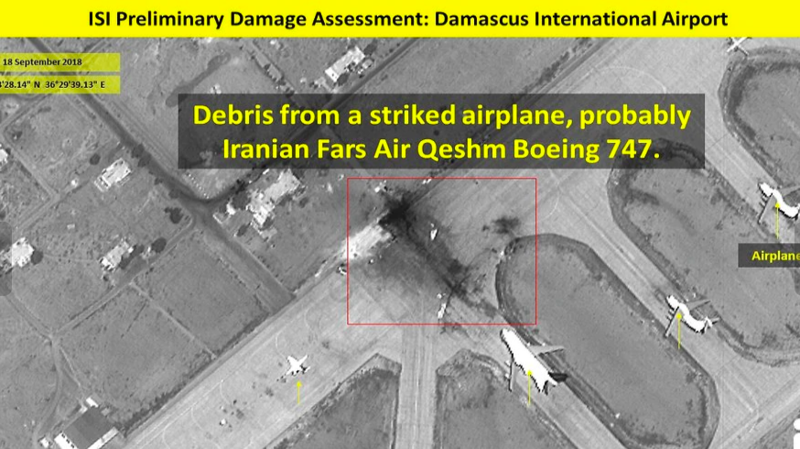 Meanwhile, the remains of another plane, a Boeing 747 aircraft that was destroyed in an earlier alleged Israeli strike at Damascus airport on Saturday, and believed to be in the use of the Iranian Revolutionary Guard, can be seen in separate images provided by ImageSat International (ISI). Prime Minister Benjamin Netanyahu spoke Tuesday with Russian President Vladimir Putin amid the rising tensions between the two countries in the wake of Monday’s airstrike. In the call, the Israeli leader “noted the importance of the continued security coordination between Israel and Syria that has managed to prevent many casualties on both sides in the last three years,” a statement from Netanyahu’s office said. Netanyahu told Putin that Israel was “determined” to prevent Iranian military entrenchment in Syria, and the attempts by Iran, which calls for the destruction of Israel, to transfer to Hezbollah lethal weaponry to be used against Israel. The conversation came on Tuesday evening just before Israel began observing Yom Kippur, the holiest day of the Jewish year. Earlier Tuesday, Putin confirmed that Israel did not shoot down the plane, rejecting any comparisons with the downing of a Russian jet by Turkey in 2015. “An Israeli jet did not shoot down our plane,” the Russian leader said. The Russian defense ministry on Tuesday morning had blamed Israel for the accident and warned of reprisals. Putin said he had signed off on the defense ministry statement. 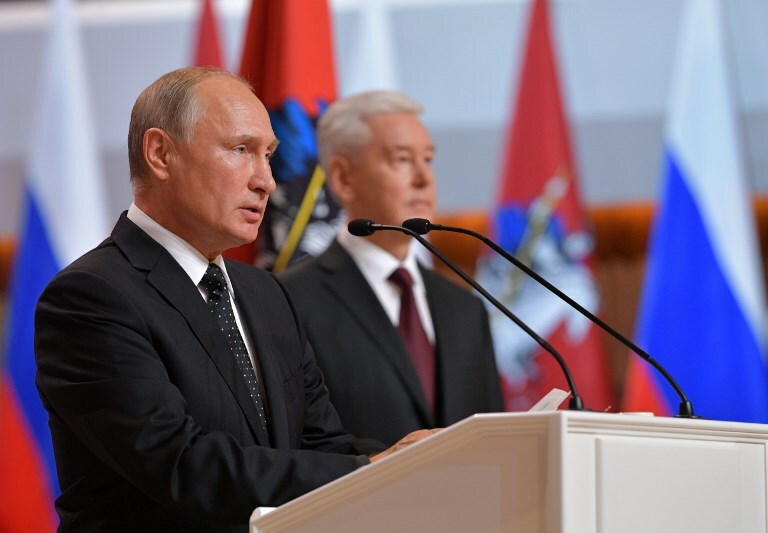 “No doubt we should seriously look into this,” Putin said, speaking at a news conference after talks with Hungarian Prime Minister Viktor Orban. Israel said its deputy ambassador in Moscow Keren Cohen-Gat was summoned to the Russian foreign ministry. The Israeli Foreign Ministry said there would be no comment on what was discussed. Putin also said Moscow would beef up security for Russian military personnel in Syria as a priority response. “These will be the steps that everyone will notice,” he said, without providing further details. The incident was the worst case of friendly fire between the two allies since Russia’s game-changing military intervention in September 2015. The Russian plane was downed by a Russian-made S-200 air defense supplied to Syria. The Israeli military on Tuesday acknowledged conducting the airstrike the night before and “expressed sorrow” for the deaths of the 15 Russian airmen. In a statement, however, the IDF denied all responsibility for the downing of the Russian spy plane, saying that Syria, Iran, and Hezbollah were the ones at fault. A photo taken on July 23, 2006 shows an Russian IL-20M (Ilyushin 20m) plane landing at an unknown location. The Israeli strike was conducted at approximately 10 p.m. by four F-16 fighter jets, according to the Russian military. Syrian air defenses opened fire at the incoming missiles, at the attacking aircraft and — according to Israel — at nothing in particular. The Russian Il-20 was shot down in the air battle. “The Syrian anti-air batteries fired indiscriminately and, from what we understand, did not bother to ensure that no Russian planes were in the air,” the army said. 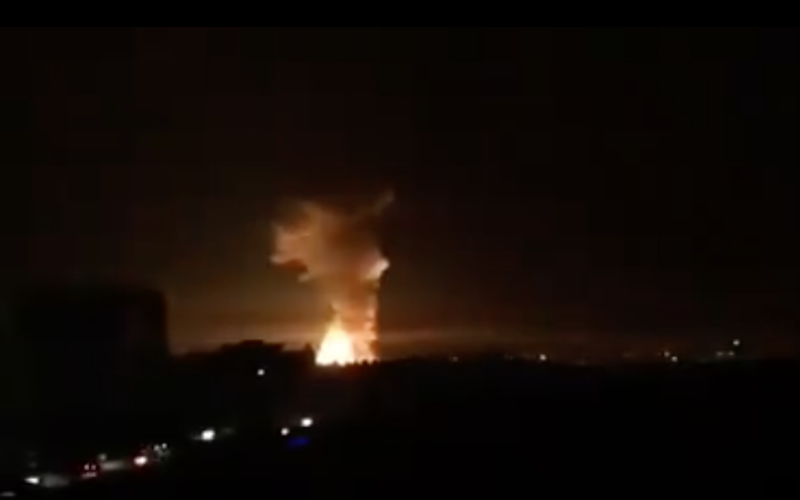 The target of the Israeli strike was identified by Syria as a subsidiary of its defense ministry, known as the Organization for Technical Industries, which has suspected ties to the country’s chemical weapons and missile programs. “These weapons were meant to attack Israel, and posed an intolerable threat against it,” the army said. Though Israeli officials have said, generally, that the military conducts operations inside Syria against Iranian and Hezbollah targets, the IDF rarely acknowledges specific airstrikes, preferring instead to adopt a formal policy of neither confirming nor denying the attacks attributed to it. The military said its initial investigation found that its strike was completed before the Russian plane entered the area of the operation and that the reconnaissance aircraft was shot down after the Israeli fighter jets had returned to Israeli airspace. “Israel holds the Assad regime, whose military shot down the Russian plane, fully responsible for this incident. Israel also holds Iran and the Hezbollah terror organization accountable for this unfortunate incident,” the army added. This appeared to refute the claim made by Moscow that the Israeli pilots used the surveillance plane as cover for their attack. Russian Defense Minister Sergei Shoigu also accused Israel of failing to inform the Russian military of its plans, which he said would have been in the “spirit” of Israeli-Russian coordination in Syria. 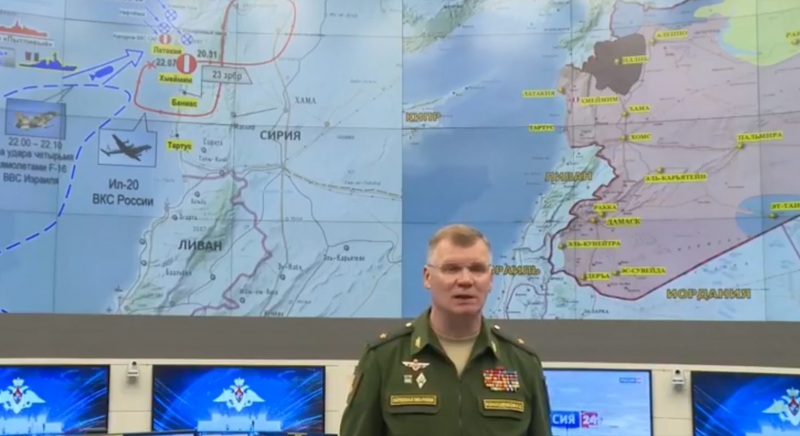 The Russian defense ministry said Israel warned them of the impending strike “less than a minute” before it began, which left them insufficient time to clear their personnel from the area. 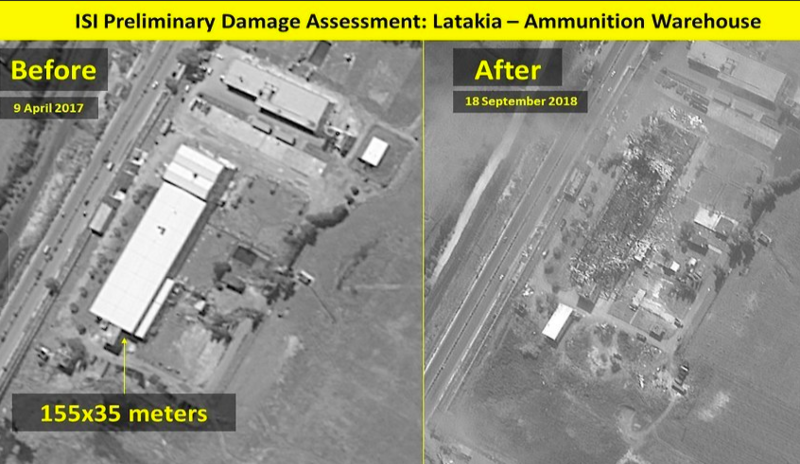 The Israeli and Russian militaries maintain what they call a “deconfliction mechanism,” which is meant to coordinate their activities in Syria in order to avoid incidents like this one. Until Monday night, these efforts had largely succeeded in preventing direct or indirect clashes since Russia became more deeply involved in the Syrian civil war three years ago. The Israeli military said it had coordinated with Russia ahead of the attack, though it did not address Moscow’s specific claims about the amount of time between the notification and the airstrike itself.